While Rafco Clean is a relatively young company, in reality, Rafco has provided professional cleaning services nearly as long as we’ve been involved in property management. In fact, over the years, we discovered many of our clients desired the same high caliber of service applied to their janitorial needs. That experience motivated us to create our own cleaning division, which we’ve operated for 10 years. Our goal was to expand the scope of our services and enhance cost efficiency in cleaning—and at the same time, better serve all our clients. In 2011, Rafco Clean was formally added to the Rafco family as a distinct business unit. Since its inception, the company has been lead by Shawn Patrick and Andre Logan, who boast over 40 combined years of experience in professional cleaning, as well as share an extraordinary work ethic and commitment to exceptional service. At our company, we’ve truly raised the bar when it comes to clean. 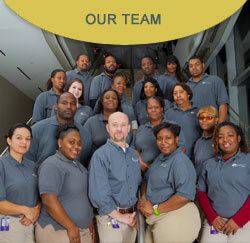 That new standard starts with our “above and beyond” philosophy about cleaning services. At Rafco Clean, we recognize no two properties are the same, so we create customized cleaning plans tailored exactly to your facility’s needs and specifications. With any cleaning task, we pay attention to the details—large or small—and take care of areas most cleaning services miss. That’s how we deliver exceptional results every day, for a level of clean that truly gets noticed. Our team of over 50 professional cleaning technicians is ready to provide exceptional cleaning for you! From management to cleaning crews, we’re committed to excellence at Rafco Clean and we expect the best from our employees. That’s why we hire only experienced professionals who are equally committed to our philosophy of exceptional cleaning services.